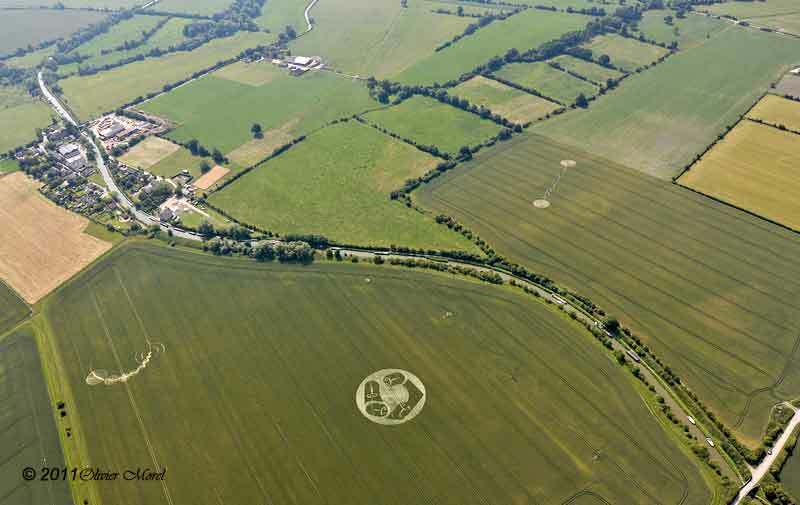 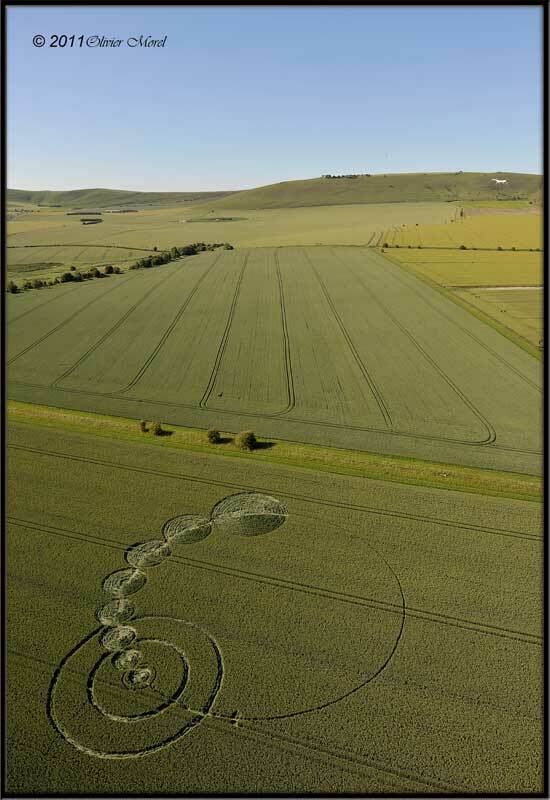 3 Crop Circles at Honeystreet : 26th June & 2 on the 4th of July ! 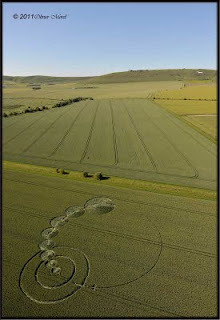 Three Crop Circles have been reported at Honeystreet in the last couple of weeks. 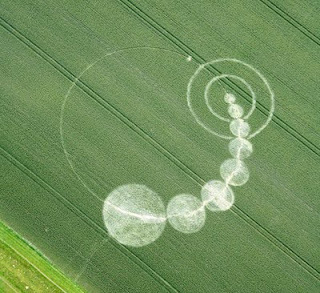 The first one on the 26th of June which possible shows something of astronomical significance to us ... perhaps an incoming comet or celestial body, and then two more formations were reported today on the 4th of July. 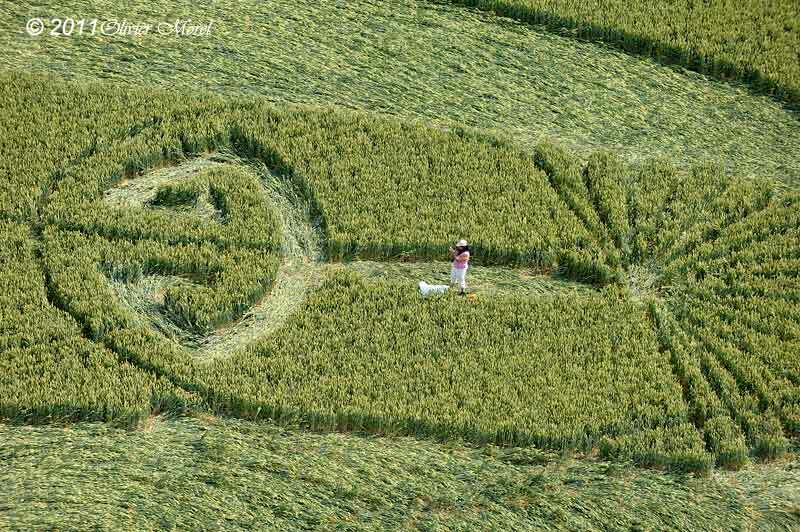 Crop Circle At Honeystreet near Alton Barnes, Reported on the 4th of July 2011 ! 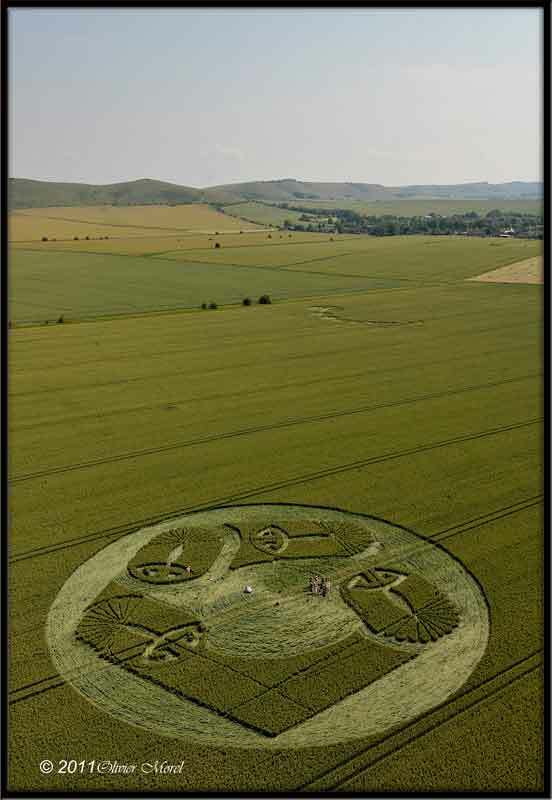 Interpretations are welcome ... please post in the comments section below and share with us ! From the integral formation of the three it is regarded as the trachea. 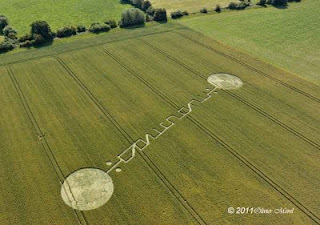 in an feelings regarding language. 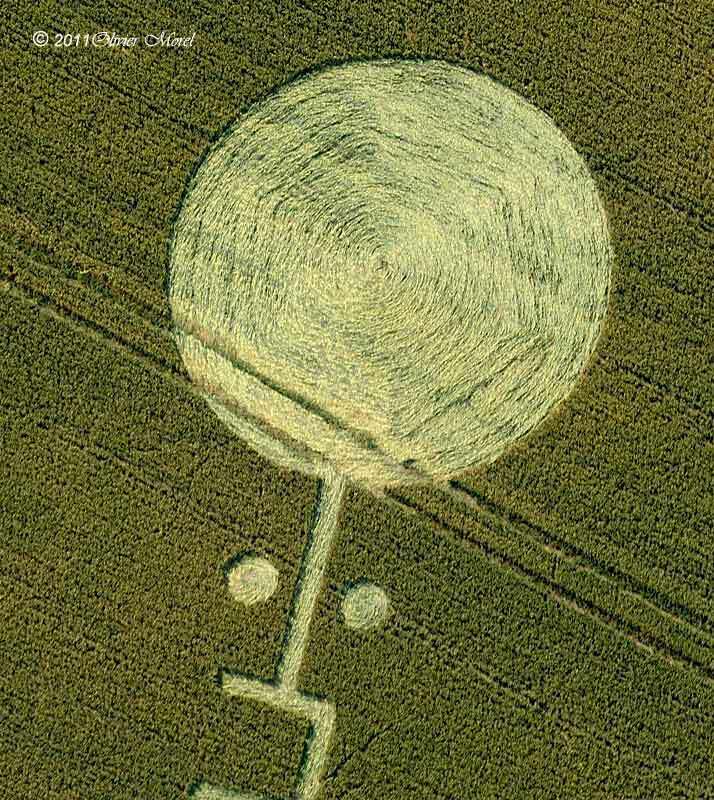 cos 1st looks like the headsensor or somethin and the 2nd must be the adams apple then. wouw an new sistem besides the kandalini all at Honeystreet? 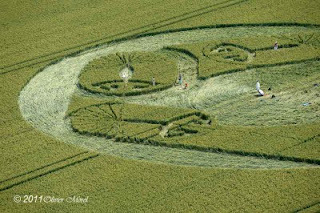 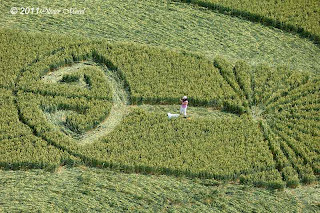 The last crop circle that has the two circles connected says to me, humans are going from carbon base to crystalline base - if you notice in one circle it shows circles within the large circle depicting carbon molecules. And in the other large circle is a six sided shape (hexagon) depicting crystalline molecules. 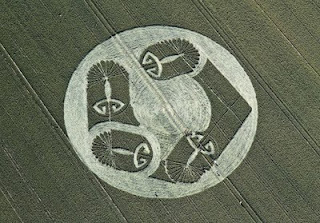 You a picture of a crop circle with a hexagon pattern with a circle in the middle. 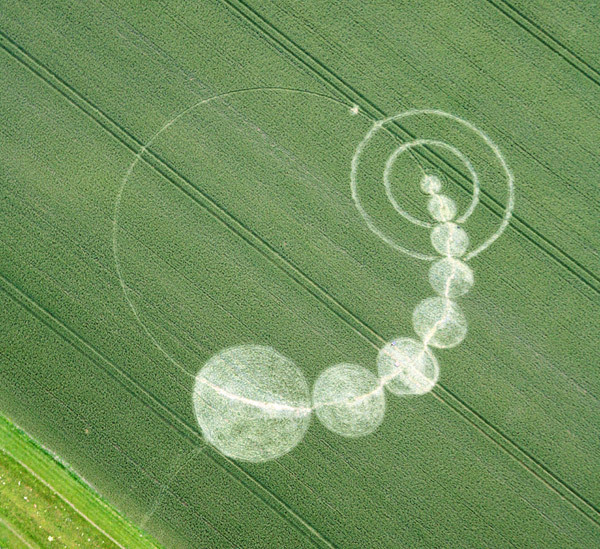 It resembles the pattern that is at the pole of Saturn.